The war in Yemen began on 25 March 2015, when a Saudi Arabia-led coalition (including Bahrain, Egypt, Jordan, Kuwait, Morocco, Qatar, Sudan and the United Arab Emirates) launched air strikes against the country. The members of the coalition stated that the strikes were requested by President Abdu Rabu Mansour Hadi of Yemen after he fled to Saudi Arabia in March 2015, having been overthrown by the Houthis in January 2015. Most countries still recognize his government. The conflict between the Saudi-led coalition and Yemen has had a serious impact on the lives of civilians in the country. The Houthi movement controls the north of the country, including the capital Sana’a, whilst an anti-Houthi coalition is based mainly in the south. The war is being fought through aerial bombardments by the coalition force while the Houthis conduct ground operations. Civilians are trapped in the middle. The fighting, along with a Saudi-imposed naval blockade, has brought the country to the edge of famine. Severe import restrictions on basic goods have caused a worsening humanitarian crisis, in which over 21 million people find themselves in need of basic assistance. The blockade comes under the rubric of an arms embargo imposed by a UN Security Council resolution. The Saudi-led coalition has indiscriminately bombed civilian areas in Yemen, including schools,market places and hospitals. As a result, the health care system has greatly suffered. Not only are there fewer functional medical facilities, but there are also a greater number of war-wounded patients to treat. This is compounded by a lack of medicine and other medical supplies because of the naval blockade. The Yemeni health care system already struggled with severe poverty and lack of access to basic health care before the start of the air campaign. Lack of supplies, medicines, electricity, fuel for generators, and staff or equipment have all contributed to a steep decline in the quality of health services across the country. The Yemeni health care system has been severely damaged by repeated airstrikes and shelling attacks. The attacks have left fewer health care facilities functioning, with each facility having to cater to a greater number of patients. In many cases, it seems that attacks on health care facilities and transportation vehicles have been deliberate, given that aid agencies working in the area have consistently provided GPS coordinates to parties to the conflict. In addition, Saudi Arabia has carried out double-tap attacks which are used to specifically target civilians and first responders. The continued deliberate targeting of medical facilities has led to civilians and staff being too scared to enter said facilities. Saudi Arabia has committed the majority of these attacks, although the Houthis have also taken part in attacks on medical facilities since the beginning of the war. Between March and November 2015, the International Committee of the Red Cross (ICRC) documented close to 100 incidents of bombs being dropped on or near health facilities. Since then, the number has continued to rise. On 8 November 2015, Al-Thawra hospital, one of the main health care facilities in Taiz, was shelled several times. The hospital was providing treatment for around 50 injured people every day. The deputy head of the ICRC delegation in Yemen, Kedir Awol Omar, said that the shelling endangered the lives of patients and staff on site. The organization did not assign blame for the attack. On 2 December 2015, airstrikes carried out by the Saudi-led coalition hit a medical clinic in Ta’iz which was run by MSF. Three airstrikes first targeted a park around two kilometers from MSF’s clinic. At this point the MSF team evacuated the clinic and informed the Saudi-led coalition that their planes were mounting an attack close by. The clinic then came under attack itself. The airstrike on Al Houban clinic wounded nine people, including two MSF staff members. The charity said it had regularly provided the coalition with the GPS coordinates of the clinic in the besieged city of Ta’iz. 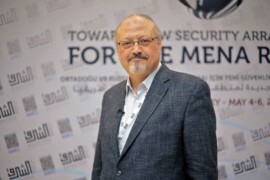 The most recent time the coordinates had been shared was 29 November 2015, when the organization informed the Saudi coalition of the exact activities of the clinic. On 10 January 2016, the MSF supported Shiara hospital in the Razeh district of Saada was hit by a rocket or a bomb. The blast at the MSF-supported hospital initially resulted in the death of five people. In addition, eight people were injured, including two critically. Teresa Sancristoval, the head of the emergency desk at MSF, said, “The wounded were hit by shrapnel from the missile, and also by shards of metal from the fence [around the hospital]. The injuries were brutal.” Raquel Ayora, MSF Director of Operations, stated, “There is no way that anyone with the capacity to carry out an airstrike or launch a rocket would not have known that the Shiara hospital was a functioning health facility.” The organization condemned the attack, stating, “It confirms a worrying pattern of attacks to essential medical services and [we] express our strongest outrage as this will leave a very fragile population without health care for weeks.” The Shiara hospital had been hit by another airstrike before MSF started supporting it in November 2015, and since then had been carrying out stabilization, emergency, maternity and life-saving activities. The death toll of the attack later rose to six, as a critically injured patient died on 16 January 2016. On 21 January 2016, an ambulance driver working for MSF was killed in an airstrike carried out by the Saudi-led coalition in the northern town of Dahyan, near Saada. The bombing resembled a ‘double-tap’ attack. A double-tap attack takes place when one area is bombed and then a second bombing hits the paramedic response teams or the nearest hospital providing care. In this instance, airstrikes had targeted an area earlier in the day. Later, when the paramedic response arrived and people were gathering to attend to the victims of the bombing, another airstrike hit the area, wounding many of the people. Shortly after, a third airstrike, again in the same area, was launched. This strike hit the ambulance and killed its driver. Rebels claimed that the airstrikes carried out throughout the day killed 26 people in the town. On 3 April, Ma’rib General Hospital in Ma’rib governorate was attacked. A government official in Ma’rib city said that rockets were fired by Houthi rebels from the Haylan mountains. The shelling killed four people, including a doctor, and injured 13. The intensive care unit was damaged, as were the administration buildings of the hospital. Ma’rib hospital was suffering from critical shortages of health staff and medicine but was nonetheless providing urgent health services for thousands of people in Ma’rib and other governorates, such as Al-Jawf, Al-Baidha’a, Aden and Lahj. When the attack happened, 190 out of 200 beds were occupied. The UN has verified 101 attacks against schools and hospitals in Yemen, attributing nearly half of the attacks to the Saudi-led coalition. Nongovernmental organizations have documented over 50 indiscriminate or disproportionate coalition airstrikes against civilian objects, including medical facilities. International humanitarian law (IHL), also known as the laws of war, distinguishes between international armed conflicts (IACs) and non-international armed conflicts (NIACs). The Geneva Conventions of 1949 state that the laws regarding IACs apply to all cases of armed conflicts between two or more states. It does not seem that the Houthi authority meets the requirements of statehood. Whilst many countries are involved in the conflict in Yemen, the fighting does not involve one state engaged in armed conflict with another state. As such, it is classified as an NIAC. The rules and laws regarding NIACs must be applied. All parties to the armed conflict in Yemen are thus obligated to comply with the requirements of IHL. This obligation does not depend on reciprocity. All members of the Saudi-led coalition have ratified the Geneva Conventions of 1949. Common Article 3 of the Geneva Conventions sets forth minimum standards for all parties to an NIAC. Yemen and all states participating in the armed conflict are party to Additional Protocol II of the Geneva Conventions. Common Article 3 does not explicitly afford protections to medical units, medical staff and transport. However, the article mandates that an impartial humanitarian body (i.e. the ICRC and MSF) collects and cares for the wounded and sick. Further, Common Article 3 provides that civilians, members of the armed forces who are no longer participating in the hostilities, and those placed hors de combat by sickness, wounds, detentions, or any other cause be treated humanely. It prohibits violence to life and person, in particular murder of all kinds, mutilation, cruel treatment and torture, along with the taking of hostages and outrages upon personal dignity, in particular humiliating and degrading treatment. Attacks on health units in Yemen violate Common Article 3(1) which mandates persons taking no active part in the hostilities, including members of armed forces who are placed hors de combat by sickness or wounds be treated humanely. This provision is indirectly violated because civilians and others taking no active part in the hostilities have suffered injuries, death and are denied access to basic health care. Documented attacks upon hospitals have resulted in the loss of life of civilians including medical personnel, breaching Common Article 3(1)(a) which prohibits violence to life and person, in particular murder of all kinds. Common Article 3(2) provides that an impartial humanitarian body collects and cares for the wounded and sick. The attacks on MSF and ICRC hospitals violate this provision as they deprive these organizations of their right to care for the wounded and sick. The multiple violations regarding health care in Yemen which have been detailed in this paper breach the principles of medical impartiality and international humanitarian law, thus constituting war crimes. The international community should facilitate ICRC trainings to warring factions. The UN Secretary General Ban Ki-Moon should hold Saudi Arabia accountable for the crimes committed in Yemen by returning it to the “list of shame” for crimes committed against children which was annexed to his 2016 annual report to the United Nations Security Council on children and armed conflict. In addition, the UN Security Council should impose an arms embargo on the Saudi Arabia-led coalition. All officials implicated in war crimes should be sanctioned. Those who are suspected to have committed war crimes must be referred to the International Criminal Court by the Security Council.